Three months after first complaining that a blocked-off portion of Pattaya Beach has become a haven for homeless people and a base for petty thieves, beach chair vendors say the situation has gotten worse. 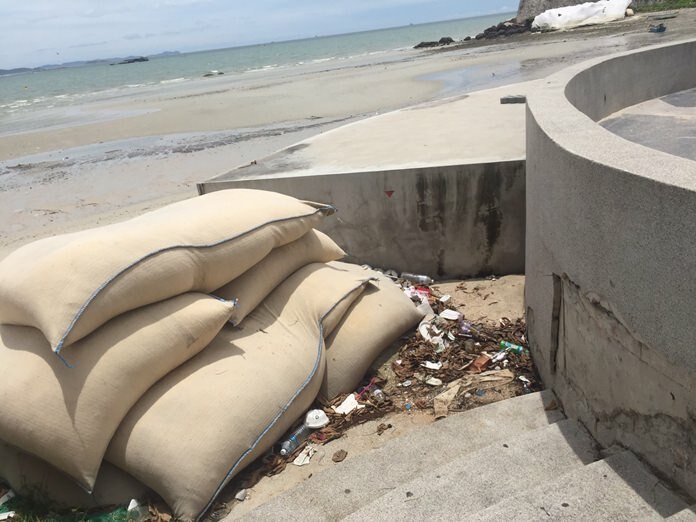 Three months after first complaining that a blocked-off portion of Pattaya Beach has become a haven for homeless people and a base for petty thieves, beach chair vendors say the situation has gotten worse, with the beach becoming an open toilet. Umbrella renters told reporters Aug. 9 that since a sheet-metal fence was erected on the sand near the Dusit Thani Hotel, homeless people, both Thai and foreign, have started living there and thieves who steal swimmers’ belongings use it as refuge. In May, the vendors demanded fence torn down and the beach cleaned up. But their demands fell on deaf ears and, three months later, nothing has been done. 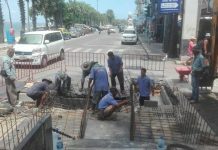 The barricade was erected to fence off an area where a contractor had begun to refill and expand Pattaya Beach. 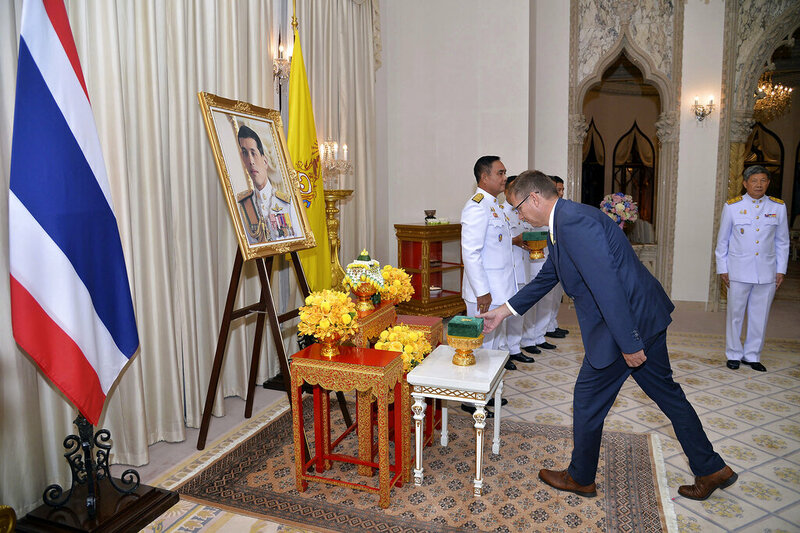 However, the project was halted in December due to a lack of appropriate sand with no estimate on when the crucial erosion-mitigation project will resume.